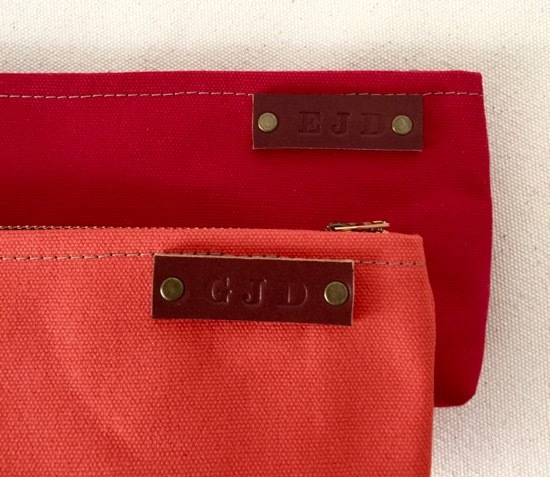 These custom stock pouches were ordered by Jill, a discerning mom in Boulder, Colorado. They are a gift to her 2 sons who are 6 and 7 years old. She wanted the brightest colours that I carried. 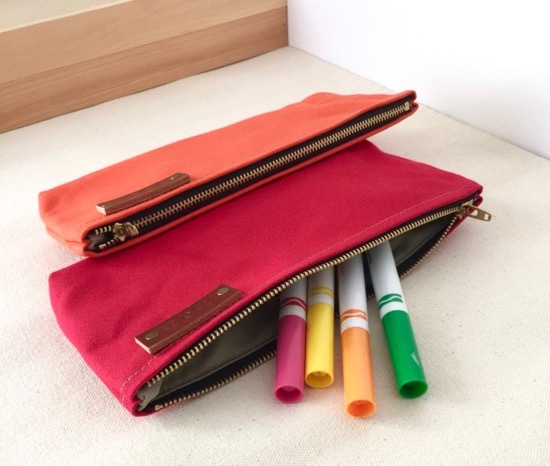 I usually don’t make bright coloured bags, but I feel that we can have a little fun with the pouches. Jill even had them personalized, adding that extra special touch. 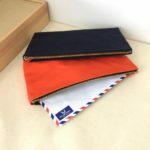 I made my son a pouch in orange with personalization, like the one shown. He really liked that it had his initials on it. I hope that Jill’s boys like theirs. 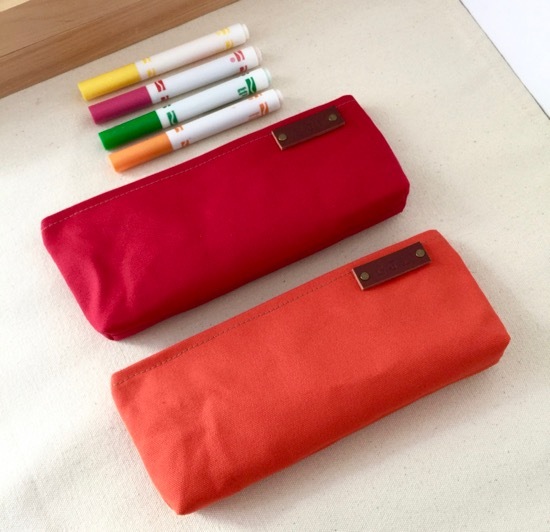 The stock pouches are made out of water resistant lightly waxed canvas, like the bags. 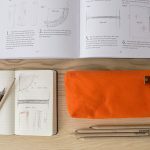 They come in 4 different colours: red, orange, charcoal grey and brown. 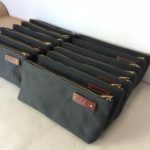 Please take a look in the shop if you’re interested in one.